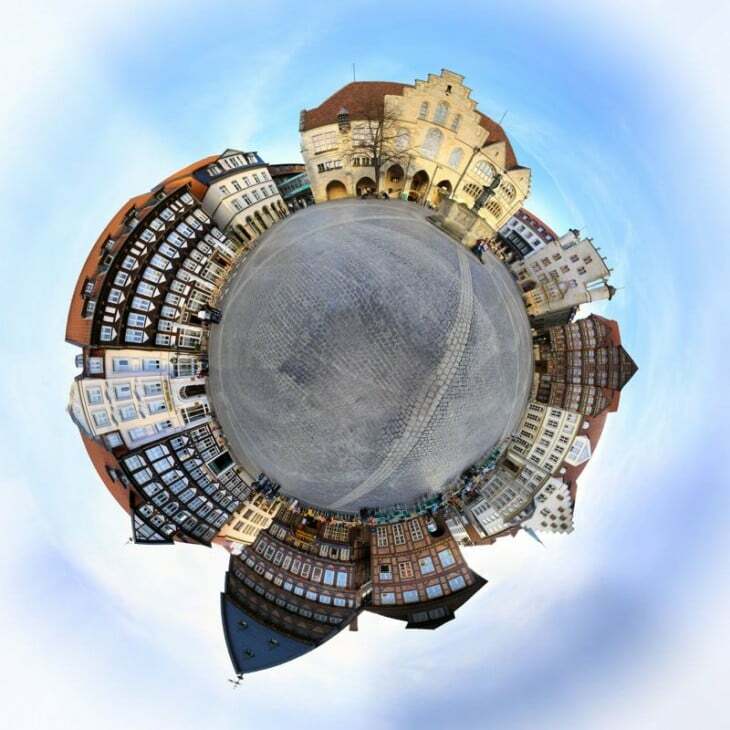 Stitched Panorama of the Market Square in Hildesheim. The large building at the top of the picture is the Rathaus, which is on the eastern end of the square. The large Knochenhaueramthaus and smaller Bäckeramthaus at the bottom of the picture is on the western side of the square. That leaves the buildings of the Van der Valk Hotel on the left (northern side of the Markt) and the commercial buildings on the right (southern sides of Markt).